Billionaires and aristocrats last year scooped up an even greater proportion of the UK’s biggest farm subsidy payouts, Unearthed’s latest investigation into the top 100 recipients of direct payments has found. Analysis of new government data reveals that one in five of the 100 largest payments under the European Union’s “direct” subsidy system now go to people or families on the Sunday Times Rich List. Direct EU subsidies – now known as “basic payments” – have attracted criticism for largely rewarding landowners simply for owning land, rather than paying farmers to invest in environmental or other “public goods”. New environment secretary, Michael Gove, has promised to maintain current payment levels under the Common Agricultural Policy (CAP) until at least 2022. The government has also committed to reforming UK farm subsidies after Brexit. But there is still little certainty about what these reforms will look like or how quickly they will arrive. With Britain set to exit the EU by April 2019, this could see tens of millions of pounds flow directly from taxpayers to some of the the richest people in the UK. Basic payments to the Top 100’s Rich List recipients totalled £11.2m in 2016 – up from £10.6m the previous year despite an overall decline in the amount of money paid out under the common agricultural policy. The National Trust – which itself received £1.6m in basic payments last year – said the system needed fundamental reform, even if it meant the trust getting less income for its land. Richard Hebditch, the trust’s external affairs director, added: “Rather than being paid for how much land you happen to farm, a new model which delivers clear public benefit from the money being spent is within reach after Brexit. The farm business owned by Brexit-backing billionaire inventor Sir James Dyson is now the biggest for-profit recipient of direct EU farm subsidies in the UK. Beeswax Dyson Farming netted £1.6m under the basic payment scheme last year – up from £1.4m in 2015. Its payment was second only to that received by the National Trust. According to the Rich List, Sir James and family are worth £7.8bn, and he is a bigger landowner than the Queen, with holdings of around 25,000 acres. A Dyson spokesperson declined to comment. The latest figures also show a rise in the number of top payouts going to aristocrats. Nearly a third of this year’s Top 100 recipients – 31 in total – are owned or controlled by people of aristocratic descent, up from 21 the previous year. Stowell Park, the Gloucestershire agricultural and game shooting estate owned by Lord Vestey, whose family’s fortune was built on its meat trading business. Lord Vestey and family are worth £727m, according to the Rich List. Highland Wagyu, a luxury Wagyu beef farm owned by the son and daughter in law of billionaire Mahdi al-Tajir. The business, which raises its cattle on al-Tajir’s 25,000 acre estate in Perthshire, sells beef for up to £250 per kg, and states that “we pamper our Wagyu cattle” in “zen-like buildings”. Mahdi al-Tajir is worth £1.7bn according to the Rich List, with interests in metal, oil and gas trading, as well as owning Highland Spring bottled water. The Rosebery Estate Partnership, which includes the Earl of Rosebery – who recently sold a painting he owned by JMW Turner for £30.3m – and his son Lord Dalmeny, the UK chairman of auctioneer Sotheby’s. 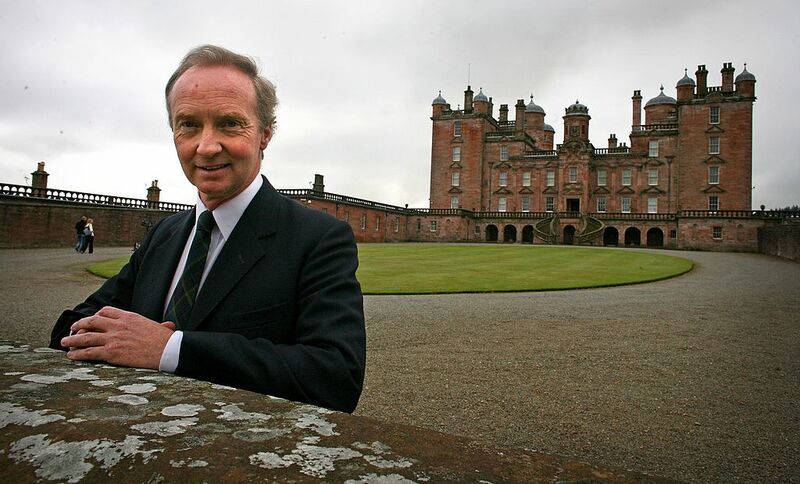 Buccleuch Estates, owned by the Duke of Buccleuch, whose landholdings reportedly include more than 215,000 acres in Scotland, and 11,200 acres in Northamptonshire. In 2016, the Top 100 recipients received £68.9m in combined CAP payments. Of that sum, £49.9m came from the basic payment scheme – more than was paid out to the bottom 35,000. Individuals who have remained in the Top 100 for the past two years include the Queen, whose Sandringham Farms received £479,739 in basic payments; the Duke of Northumberland; the Duke of Westminster; and the Earl of Iveagh and the Guinness family. Elsewhere, the Top 100 includes businesses owned by wealthy overseas-based landowners who do not feature in the British Rich List, such as the chairman of retail fashion giant H&M, Carl Stefan Erling Persson. Persson is the richest man in Sweden, worth $18bn according to Forbes). Also still on the list is Prince Khalid Abdullah al Saud, whose internationally famous racehorse breeding operation Juddmonte Farms, based in Newmarket, received £492,666 in overall CAP subsidies last year, of which £350,531 came from the Basic Payment Scheme. The latest available accounts for Juddmonte Farms Ltd show that in 2015 it turned over £53.4m, of which only £1.5m came from farming. Critics of the CAP have long argued that it is too heavily weighted towards “direct” farm subsidies like the basic payment scheme, which are paid out largely on the basis of how many acres of land the recipient controls. Martin Harper, conservation director for the RSPB, another major CAP recipient, told Unearthed: “The current payments system means that the majority of subsidies don’t deliver enough value for money for the public. But there is an alternative. We, like many other farmers, use the agricultural payments we receive to provide clear public benefits, such as managing land and habitats for flood defence and providing a place for nature to thrive. This could become the norm. Of the £2.9bn of CAP payments detailed in the latest government data, £2.1bn went on the basic payment scheme – leaving relatively little for the environmental schemes funded through the rural development programme. Others argue that the system has disproportionately benefited the largest landowners. Tenant Farmers Association chief executive George Dunn said it was “wrong that the current Basic Payment Scheme is so open ended to the extent that there is no limit on the amount of payment that an individual can receive and that the active farmer test which applies is too weak to ensure payments are only made to genuinely active farmers”. He added “that it would be fairer if there was a limit on the amount that an individual can receive bearing in mind that 80% of individuals receive less than £25,000”. During the referendum campaign Mr Gove – a prominent Brexit supporter – seemed to imply that there would be little change to the farm subsidies system post-Brexit. He told the Yorkshire Post there would be “no reduction in what people get from the CAP but what we do want to look at is the bureaucracy which leads to delays in payments”. But since becoming environment secretary, he has stuck to the government line of committing only to maintaining the overall level of spending on farm subsidies until 2022. In a recent BBC interview, he said there was a “huge opportunity to design a better system” after Brexit, but when asked what form that would take he said he needed first to listen to farmers and environmentalists. A government spokesperson said last night: “Leaving the EU gives us the opportunity to design a better system that works for the UK’s agricultural industry and helps our farmers to grow more world-class food. The basic payment scheme, which was introduced in 2015, includes some reforms intended to address criticisms from conservation groups. Under the scheme, farms above a certain size can lose up to 30% of their payment if they do not plant at least three different crops and devote at least 5% of their arable land to “ecological focus areas”, such as hedges. These rules also impose some potential restrictions on ploughing up permanent grassland. The so-called “three-crop rule”, which is intended to promote a minimum level of biodiversity, has been controversial with farmers. Earlier this year, Mr Gove’s predecessor as environment secretary, Andrea Leadsom, told farmers the rule would be scrapped when Britain exited the EU. Some of the businesses in the Top 100 approached for comment argued that the CAP payments supported high-quality food production, rural employment, and other public goods. A spokesperson for Buccleuch Estates said: “Buccleuch is an active farming business, with its operations supporting jobs and livelihoods in rural areas.